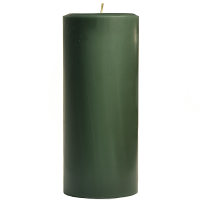 Home :: Pillar Candles :: Outdoor Candles :: Citronella Bucket Outdoor Candle Dark Brown 22 oz. Citronella Bucket Outdoor Candle Dark Brown 22 oz. Spring is right around the corner and it will soon be time for backyard barbecues, sitting by the pool, romantic evenings under the sky, oh, and bugs. 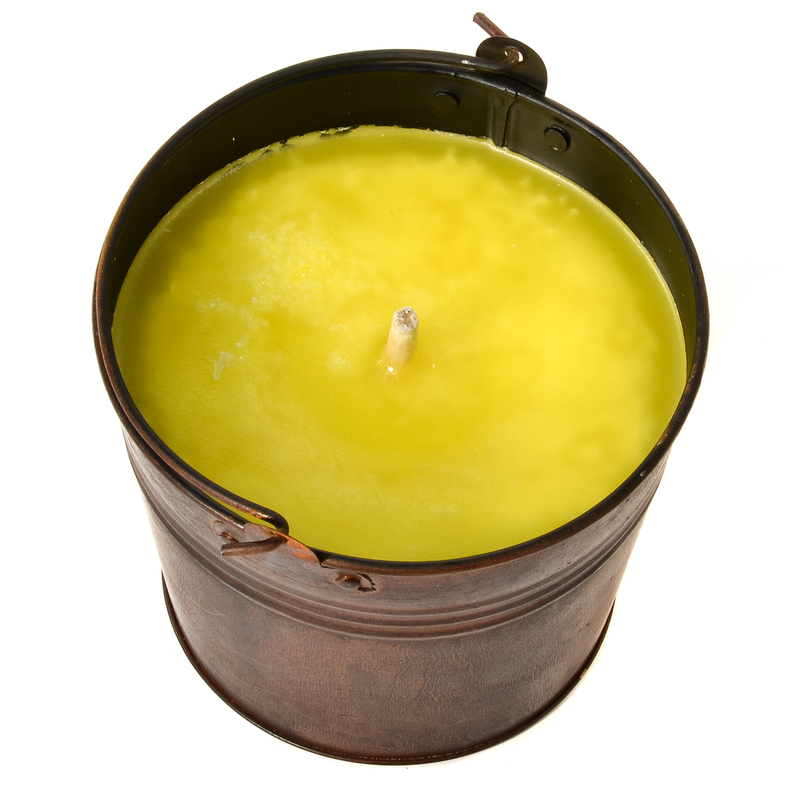 We have the perfect solution for you, our brand new Citronella Buckets which are hand crafted in the U.S.A. 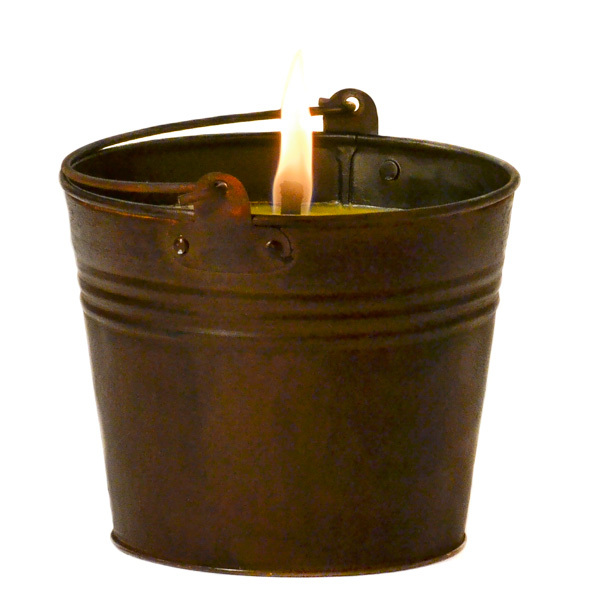 These outdoor citronella candles come in a stylish dark brown metal pail with a handle. 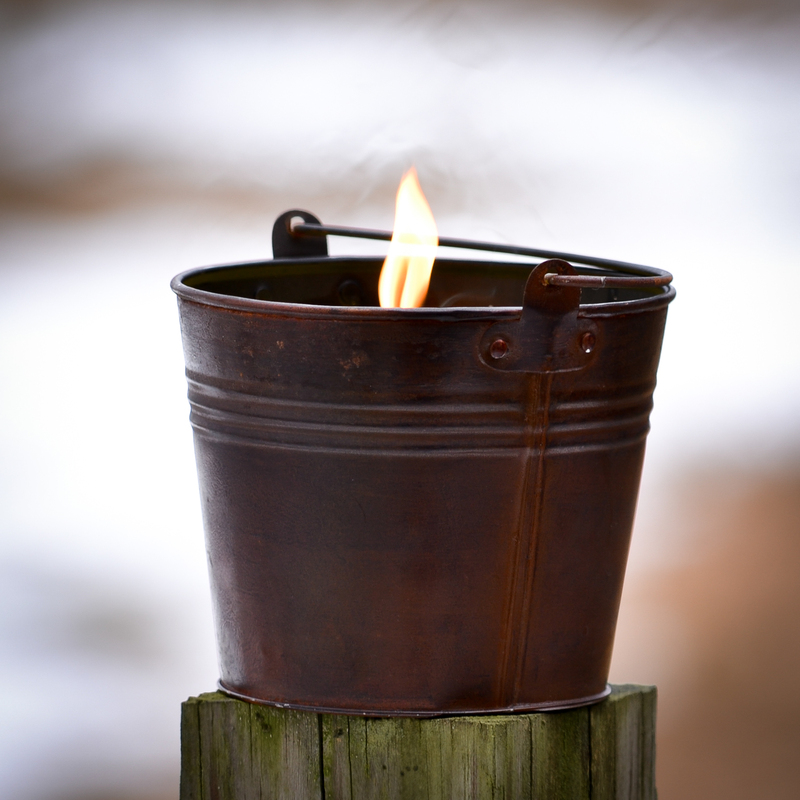 The earthy hue allows this metal pail to fit in beautifully with all your outdoor furnishings. We use an extra thick wick which makes the flame much more resilient against those warm summer breezes than a regular candle. 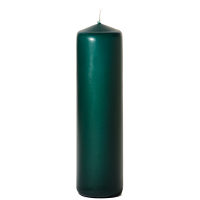 Burn this candle outside to help keep annoying insects from bugging you while enjoying the great outdoors. 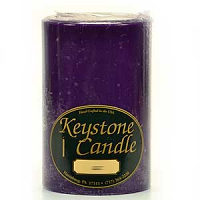 This candle is perfect to take on camping trips and picnics too. 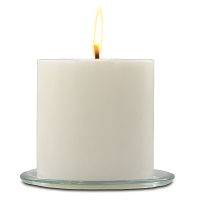 This size of the wick will cause this candle to produce soot so do NOT burn this candle indoors, use outside only. 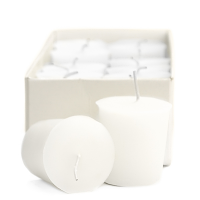 To get the best performance on gusty days, protect the wick until the flame fully begins to burn. 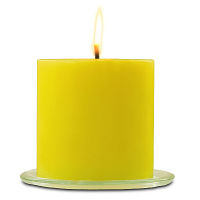 Citronella Ceylon Oil has a well rounded lemon citrus scent, though it is much softer than actual Lemon. It also has subtle wood tones. 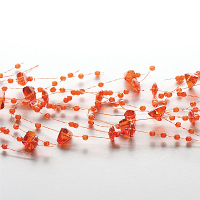 Its common use is to deter pesky insects. 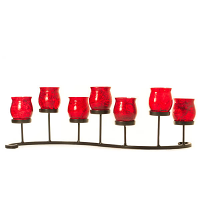 Great Candles-lovely color...amazing no drip burning! Excellent, super fast shipping!